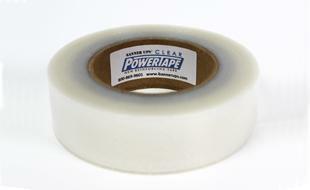 Banner Ups® PowerTape is a single sided Banner Hem tape that is made of a super strong film. 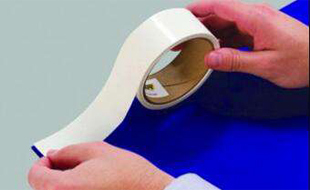 Unlike ordinary double sided banner hem tape, there is no need to fold a hem in the media to reinforce banner edges. Just apply Banner Up Tabs on the corners, the simply strip the tape along the top and bottom edge of the back of the banner, then punch holes through the tape, tabs and media with a Banner Ups. Stronger Banners are Better Banners! • Duplicates the strength of folded hem and double-sided banner tape, but eliminates the hassle! • Fabricate a mighty banner in only 3 minutes! • Features: Use PowerTape with PowerTabs to create ultra strong banners. Contact us to see how the BannerUps range can help your business!